Open daily, 10:00 a.m. to 6:00 p.m.
Open daily, 12:00 p.m. to 5:00 p.m. 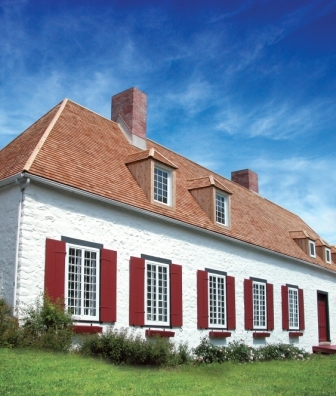 Experience the unique atmosphere of Trois-Rivières’ oldest manor through a fascinating guided tour! Explore the universe of Marie-Josephte Chastelain and her husband Joseph-Claude Boucher de Niverville, a middle-class couple who lived there during the French regime. You’ll discover surprising facts about the eating habits, clothing and customs of the people of New France! Conclude your visit with a tour of our archaeology exhibition, designed by College Lafleche students in the History and Civilization Program.